Welcome into the latest installment of the 2014 BCDN Golf Gift Guide, a multi-part series where we share with you some of the best holiday gifts for yourself or the golfer in your life. Every golfer has that one place they want to play, that one thing they want to do that will make their golf life complete. Those experiences are ones you'll remember for the rest of your life. And while there are thousands of possible experiences that will blow your mind, may we suggest a few that are both within reach and actually plausible as holiday gifts for many people. The Soren-Slam at the Annika Academy ($9,250): Odds are, your game could use a little work. So why not take a lesson or two? And who would be a better instructor than 10-time major champion Annika Sorenstam? Sorenstam opened the Annika Academy at Reunion Resort in Orlando, Fla., in 2007, employing her long-time team to teach students simple techniques to improve their game and fitness, Annika's passions. In the Soren-Slam package, students learn under Sorenstam's watchful eye for three days and includes a nine-hole round, instructional clinic, lunch and autograph session with the Swedish-born star. 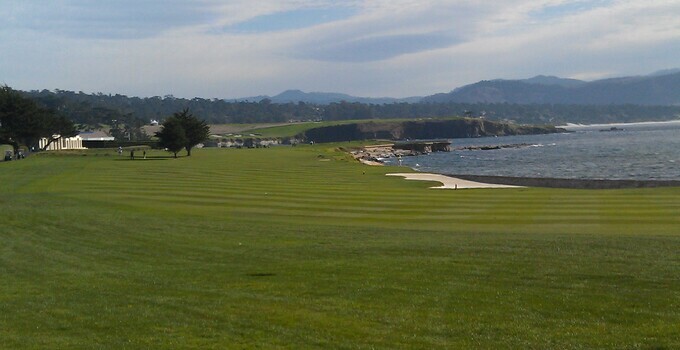 Pebble Beach Golf Academy ($3,300): If you haven't been to Pebble Beach, why on Earth are you waiting? There are few places on the planet as beautiful at the Monterey peninsula and few courses that can compete with Pebble Beach Golf Links. The California resort is offering an opportunity to improve your golf game and play three rounds of golf at Pebble Beach, Spyglass Hill and Spanish Bay. The four-day experience includes first-class instruction from director of instruction and 2003 PGA of America teacher of the year, Laird Small, at the new Pebble Beach Golf Academy & Practice Facility, which opened this year. Dates are available in January, February and March. Play the Stadium Course at TPC Sawgrass ($475): The par-3 17th hole at the Players Stadium Course at TPC Sawgrass is a hole you know you want to play, even if you dunk 10 in a row in the water surrounding the green just 140 yards away from the tee. But you may think it's a little too pricey to play. Wrong! With a TPC Network package, you get a round at the Stadium Course, a night at the Sawgrass Marriott, just steps from the gates to the property, as well a golf shirt and commemorative photo frame.